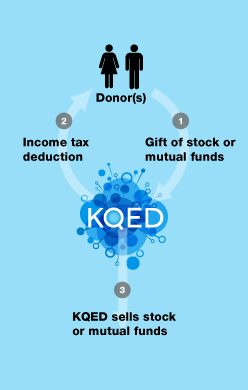 Using appreciated stock or mutual funds is a tax-wise way to fund your gift to KQED. Gifts of appreciated securities held longer than one year are exempt from capital gains taxes and for outright gifts entitle the donor to a tax deduction equal to the fair market value of the securities at the time of transfer. To avoid exposure to capital gain tax, the stock must be transferred to KQED. We then sell the stock from our account. 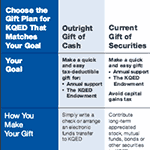 To make a current gift of stock, please give your broker the following instructions for electronic delivery to KQED. Please contact us at (415) 553-2300 or signal@kqed.org to notify us of the transfer details so that we can properly credit your gift and provide you with a letter for tax purposes. 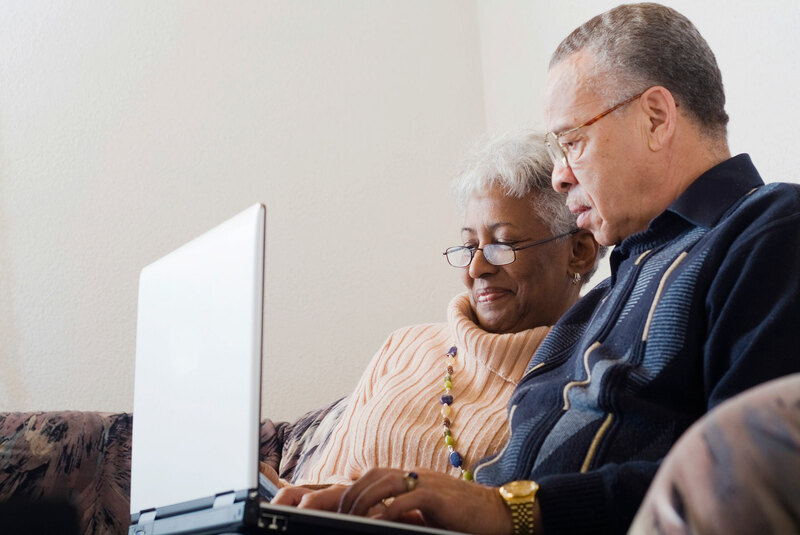 Stock and mutual funds may also be used to fund charitable gift annuities and charitable remainder trusts. Please complete our request for information form.